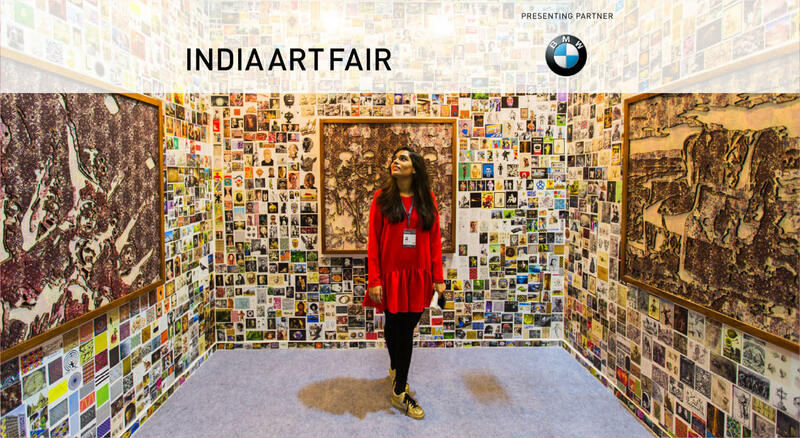 India Art Fair is the leading platform to discover modern and contemporary art from South Asia, offering a unique access point to the region’s thriving cultural scene. Taking place annually in India’s capital, New Delhi, the fair reflects the city’s fast-developing local arts scene, while offering curated insights into the cultural landscapes of neighbouring countries. The fair’s programme - which draws together galleries and artists, private foundations and arts charities, artists’ collectives, national institutions, cultural events and festivals - enables international audiences to engage in innovative ways with the cultural history and development of the region. Packed with exciting initiatives for its tenth edition, India Art Fair 2018 will present the best of the local and regional art scene, from its fascinating history through to its modern-day icons and emerging talent. Buy your tickets in advance to save money and guarantee entry, particularly at the weekend! For more information on the festival, visit the India Art Fair's website. When and where is India Art Fair 2018? The tenth edition of India Art Fair will take place at the NSIC grounds, Okhla Industrial Area, New Delhi, 10th – 12th February 2018. India Art Fair attracts visitors with an interest in the art world, such as curators, artists, collectors, journalists, gallerists and critics, and art lovers. Some visit to acquire art, while others view the fair more as an exhibition, enjoying the experience as a cultural day out. The fair is made up of five sections: the Galleries consist of Indian and international exhibitors presenting works by a range of artists; Focus features solo artist presentations; Institutional showcases leading Indian and international museums and art foundations presenting elements of their programmes or collaborations commissioned specially for the fair; Platform represents young emerging artists or art practices from throughout South Asia; and Art Projects is a non-commercial space to discover large-scale, site-specific installations. Who are some big names participating at India Art Fair 2018? This year sees a particularly strong representation of leading Indian galleries such as Chatterjee & Lal, Jhaveri Contemporary and Chemould Prescott Road (all Mumbai), Experimenter (Kolkata), GALLERYSKE (Bengaluru/New Delhi), Vadehra Art Gallery, Gallery Espace and Art Heritage (all New Delhi). Leading international galleries David Zwirner (London/New York/Hong Kong), Blain | Southern (London/Berlin), Sabrina Amrani (Madrid) and Aicon Gallery (New York) will also be participating. India’s most influential cultural organisations partnering with the fair in 2018 include Kiran Nadar Museum of Art, Foundation for Indian Contemporary Art, Korean Culture Center, and the Institut Français en Inde. India Art Fair has exhibitor's works by Anish Kapoor, Steve Mc Curry, and Picasso in its previous editions and in 2018, will feature works by leading artists from the region and beyond such as Ravinder Reddy, Shilpa Gupta, Sudarshan Shetty, Imran Qureshi and Francesco Clemente. If I cannot get to New Delhi for India Art Fair 2018, is there any part of it that I can still enjoy? Yes; there are a number of satellite exhibitions and unique events throughout the city, that showcase the dynamic diversity of the art scene in the country. You can see the full schedule here. The 2018 edition of the fair will take place from the 10th — 12th February 2018 at the NSIC Grounds, Okhla Industrial Area, New Delhi. Nearest Metro: Govindpuri Station, Violet Line.